Udaipur, India: Animal Aid Unlimited performs street rescues and provides local animals with veterinary treatment and care. For homeless animals too at risk to return to the streets, Animal Aid also runs a free-roaming three-acre sanctuary to fifty dogs, thirty cows, twenty-five donkeys, and five pigs. From the family-operated organization’s outreach and education projects, the locals trust Animal Aid as community stewards, and people regularly call to report animals in crisis. 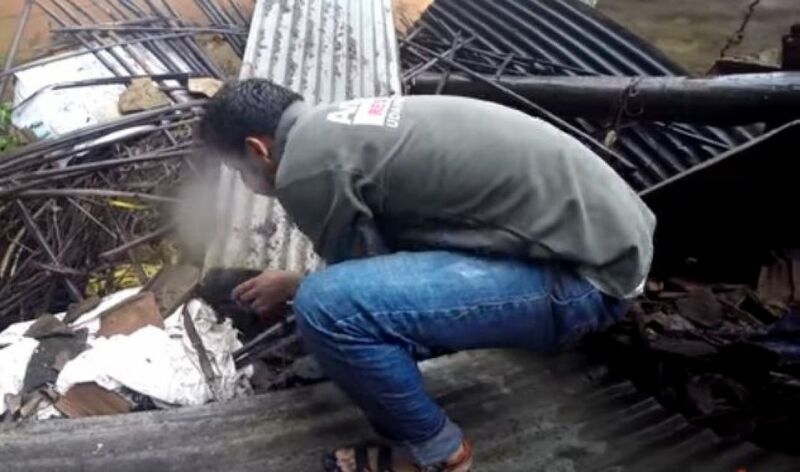 On one such occasion, after a hut collapsed in the rain and a puppy was heard crying beneath the rubble, neighbors turned to Animal Aid for help. Rescuers identified its location and cleared aluminum siding and debris to pull the wet black pup to safety. 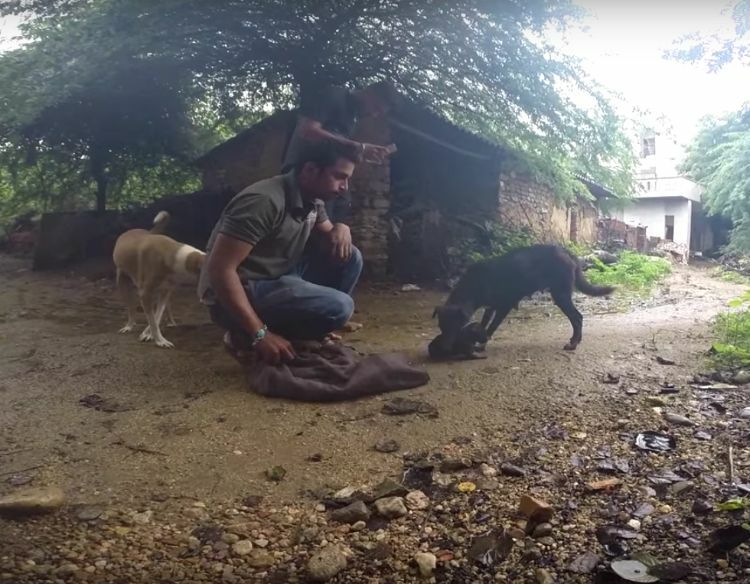 An Animal Aid rescuer towel-dried the puppy, and, with villagers gathered around, presented the once-lost pup to its mother. She sniffed her puppy and wagged her tail before scruffing the little one and trotting away with it to their den. A rescuer followed to feed Mom while the pup suckled in a heartwarming family reunion.